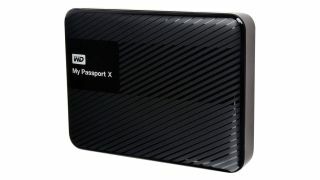 We keep tabs on the best Xbox One external hard drive deals all year around, and this limited time Western Digital 2TB discount is a real humdinger. Why do you need an external hard drive for your Xbox One or Xbox One X? With games like Red Dead Redemption 2 taking up to 100GB of storage space, your standard 500GB Xbox One hard drive can fill up fast. Even more so when you're signed up for Game Pass, which offers hundreds of Xbox One games for a monthly subscription fee. For only $59.99, you can add an extra 2TB of storage, allowing you to save 30+ more games without having to mess around deleting games or save files you'd rather keep installed. Western Digital are one of our favorite storage brands, and this USB 3.0 compatible hard drive is high-speed and easy to set up. You'll need to act fast and enter the promo code BFAD166 at checkout on newegg.com. You won't regret investing in more storage space for your Xbox One or Xbox One X at this fantastic low price. Once you've boosted your Xbox One storage, it's not too late to pick up 12 months of Xbox Game Pass for $69.99 (a saving of $50). Xbox Game Pass gives you access to 100s of great Xbox One games, including the recently announced additions of PUBG, Ori and the Will of the Wisp and Hellblade: Senua's Sacrifice; plus classics like Fable 3, Halo 5 and Gears of War 4. It's a step closer to the proverbial 'Netflix for games' model and fairly outrageous value at the $5.83 you'll be paying each month with Microsoft's discounted subscription this Cyber Monday. You're not just streaming these games, either. You have the option to download them to your hard drive, much as you would music tracks on Spotify premium for offline play.